When you are having trouble paying back your payday loans, it can lead to major problems with the rest of your finances, as well. You may find that you need to put off paying something else to ensure the payday loan payments make it in. Over time, this can cause your credit score to take a hit and leave you in a situation where trying to catch up feels impossible. We’ll look at how to negotiate with your creditors and talk about what you can do to make those payday loan payments a thing of the past. Stick to what matters when discussing things with a creditor. The person you’re talking to isn’t going to be interested in the fine details about why you have missed payments or are unable to pay your bill. However, they do need to know that you are going through financial hardship. They also need to know that you are working to get back on track. Just be truthful and tell the same story to every person you speak with. If you make something up or tell people something different each time, that’s going to reflect poorly on you. Some creditors are going to try to intimidate you or make you nervous. It’s your job to remain calm and not allow them to frustrate or anger you. If you find yourself in a situation where you are losing your cool, it’s a good idea to tell the person you’re speaking with that you need to continue the conversation later and simply hang up. If you end up talking with the same person later, tell them you’d like to record the conversation. Even if you don’t, this can make them more personable and less likely to be on bad behavior. Sometimes a collector well say that you will be sued or could lose your car or home if you don’t immediately pay. Stay calm when and if this happens and ask questions that help you better understand the situation. You might ask when you will be notified of a lawsuit or when they will take over your property. This gives you information that can help you. Some of the threats may even be illegal, so get all the information you possibly can. When you talk with your creditors, make sure to have a pen and notebook at your side. You should write down exactly who you speak with, when you spoke with them, and what you talked about. This serves two purposes, the first being that you may be able to focus on the writing and avoid anxiety or stress and the second being that you will have a record if a creditor breaks the law while attempting to collect on a debt. It might seem satisfying to throw away mail you receive from creditors or leave it unopened and unread. This is not a good idea. You should instead open the mail when you receive it and make a point to read through it. Even if there is no action to be taken, save the mail from creditors, so you have it in a file. This will be helpful in the event that the situation escalates in the future. You should go over your income and expenses to determine that you can actually afford and only agree to pay an amount that is realistic. If you are trying to settle an account, the best option is to come up with a lump sum figure that you are comfortable using to resolve the debt. A payment plan is also an option but will likely end up costing you more in the long run. If you choose to agree to a payment plan, be sure you know what the end cost will be. A creditor will attempt to get payment for a certain amount of time before the debt is written off and the account is sold to a collector. Late payments can affect your credit score, but collection accounts have an even larger impact. So, get in there early and talk to the creditor before the account is sent off, if possible. Once the debt has been sold, you’ll be forced to speak with the collector, instead. Whether you choose to settle in a lump sum or sign a payment arrangement, make sure that you get it in writing before providing the creditor with money. If you don’t do this, you run the risk of terms changing, at which time it will be your word against theirs. While it’s unlikely for this to happen, there have been cases where consumers were contacted for balances years down the road when they believed they were already resolved. If you run into problems coming up with a repayment plan that works for you, consider contacting a credit counseling agency who can work it out for you. 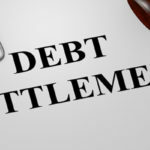 If you are unable to pay your debts, you could also speak with a bankruptcy attorney. You can, at the very least, learn what your options are. Sometimes the best solution is having someone assist you to ensure things are done correctly. 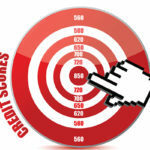 You can also check your credit score to determine exactly what is affecting you and how. 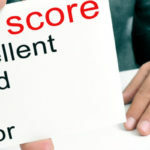 You’ll see how your debt, payment history, and length of time with an account affects the overall score. For those who are in debt that involves payday loans, an option is to work with a payday loan consolidation service. 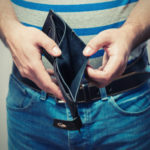 These services, like RealPDLHelp.com, can help you get out of debt. They will consolidate all of your payday loans into one so that there is only one consistent payment each month. On top of that, the payment is often less than you were paying before. This gives you the ability to get back on top of all your other financial requirements to avoid watching your credit continue to drop.